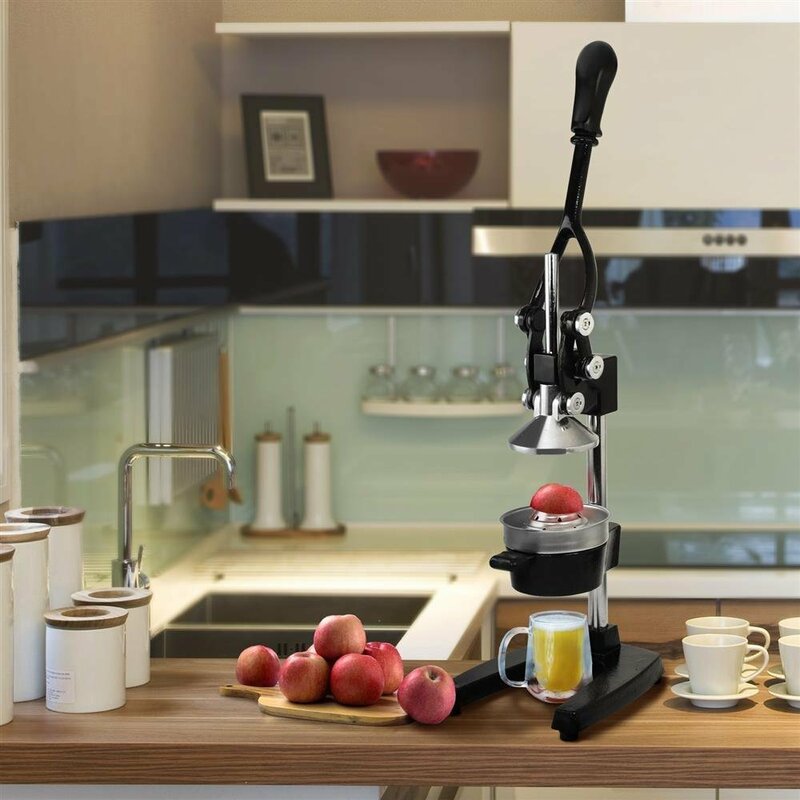 With Home Use Stainless Steel & Cast Iron Juicer, you can DIY any fruit juice at home. 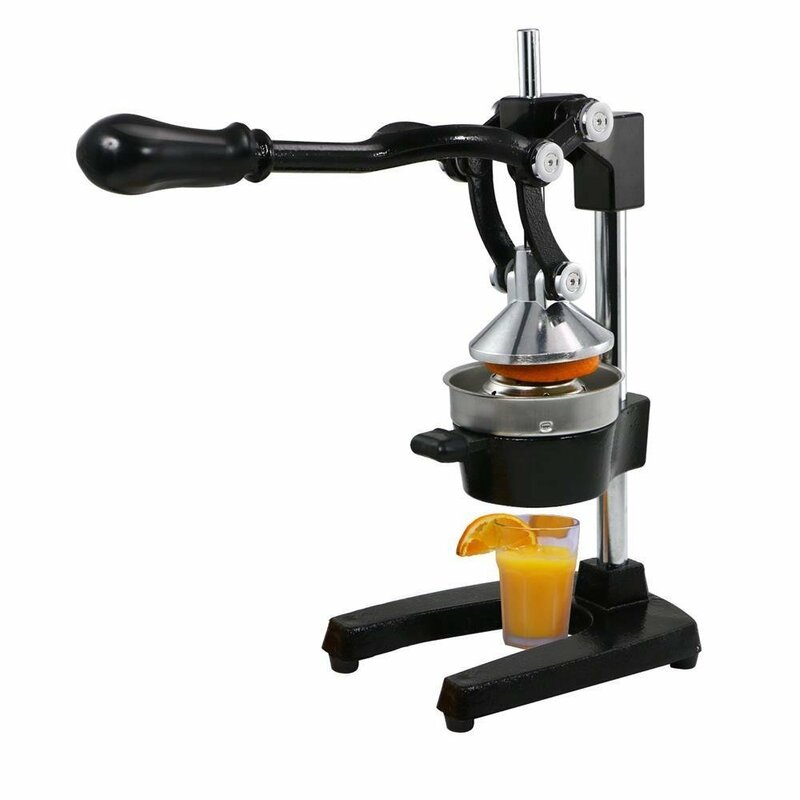 Crafted with highly skillful workmanship on the base of high-quality stainless steel and cast iron, this juicer is durable and reliable to use. 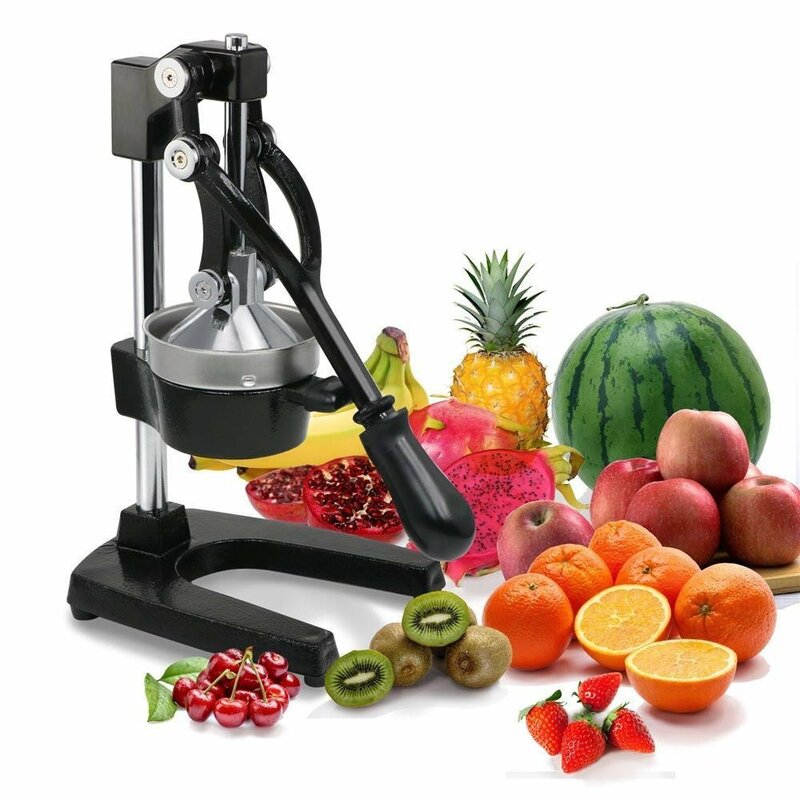 It is particularly designed for squeezing soft and succulent fruit, such as lemon, orange and pomegranate. 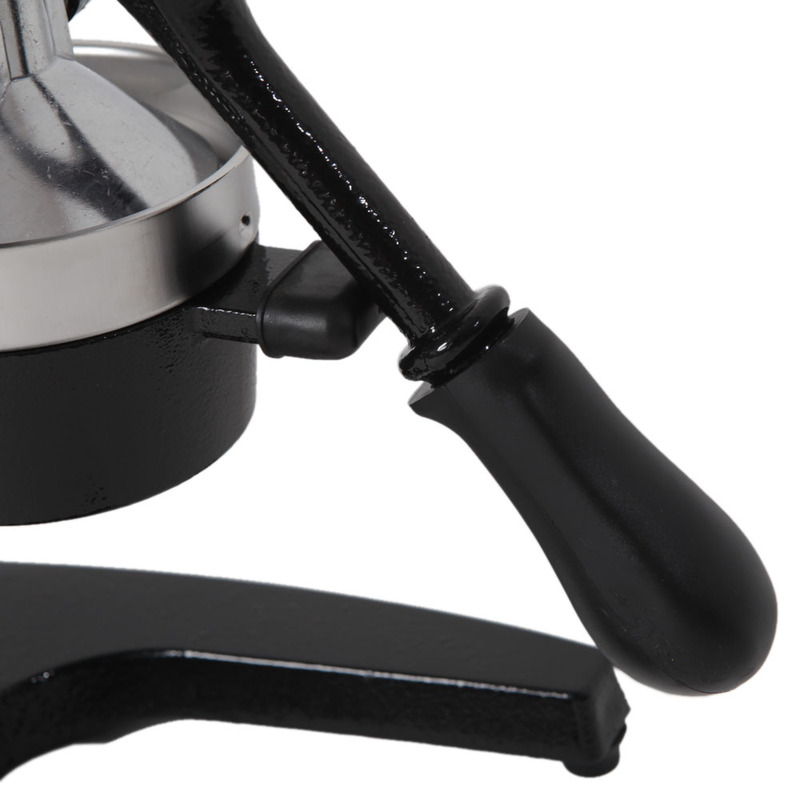 Supporting manual operation, it allows you to well control the operation force and method. Most of all, it promises the best taste, quality and safety. And this machine is quite easy for cleaning. 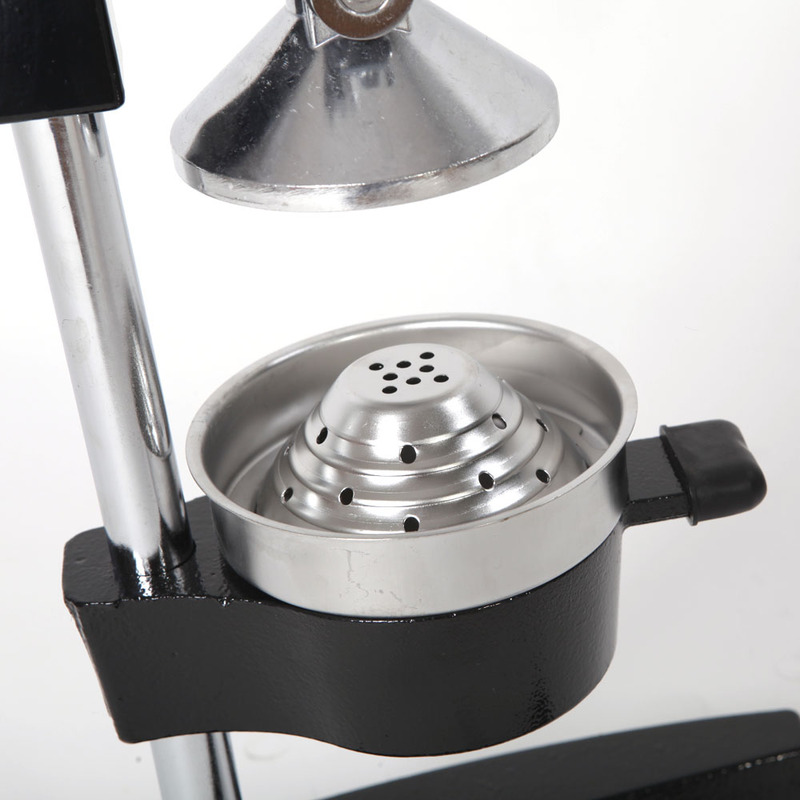 The juicer adopts food grade safe and non-toxic material. It features large capacity cup body and fruit juice cup, which is no bisphenol harmful substances. 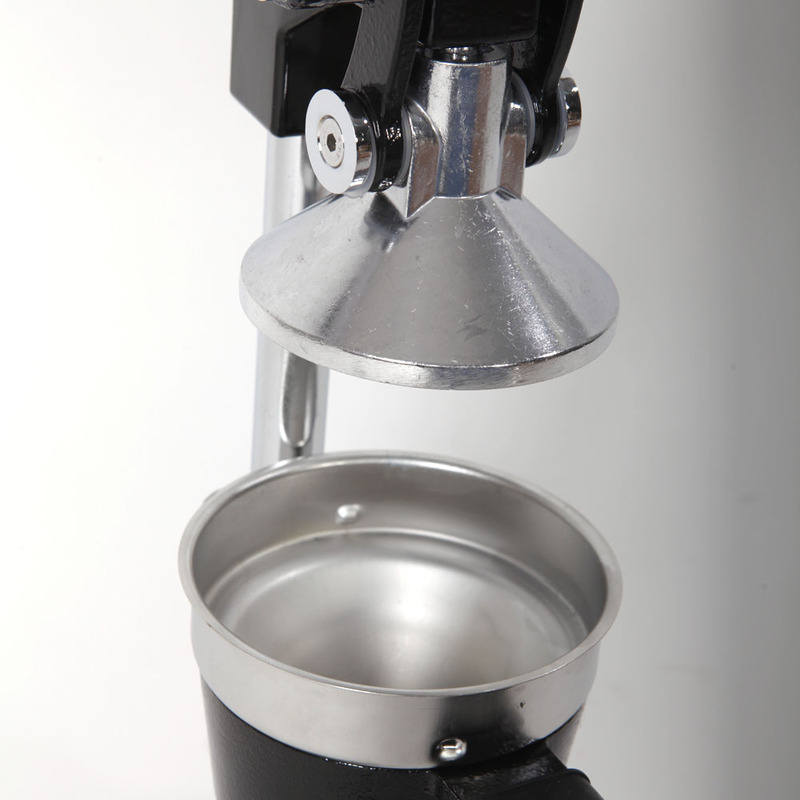 It operates with light noise, small electric resistance, which is more stable to operate, even grind and better taste. This is the first time that I've used a fruit juicer squeezer.I have to say that I am really impressed by the speed and efficiency of the lemon squeezer.Even though orange is very big,I force it inside the confines of the squeezer and the lemon squeezer makes quick work of it and just as quickly makes a glass of fresh squeezed orange juice for my family for breakfast! 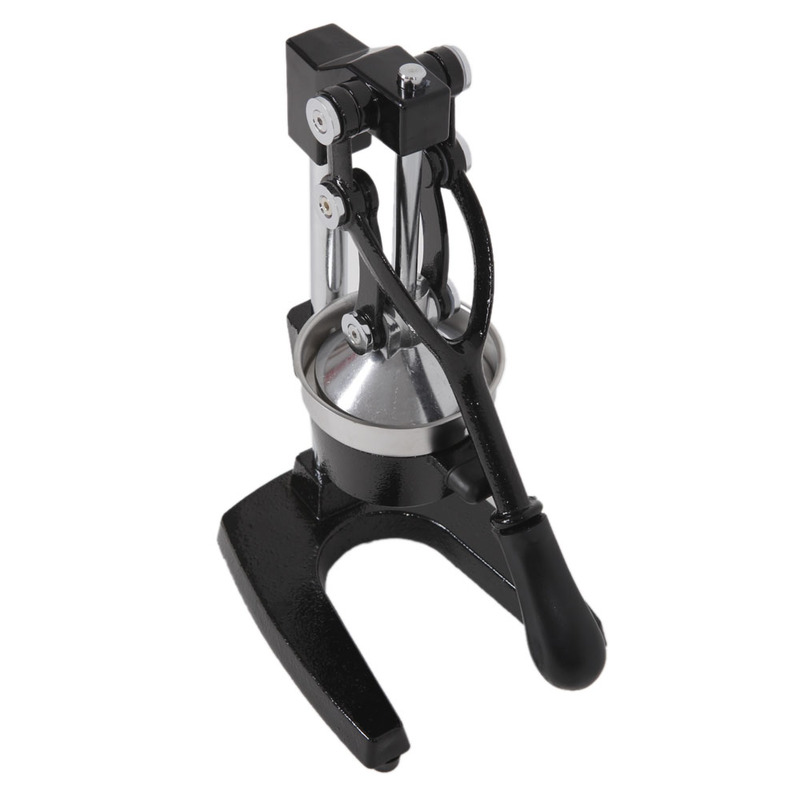 Truly amazing!Buy one,and you'll really be amazed at how effective and convenient it is.This is an excellent tool to use for squeezing lemons/limes/oranges for juice provided you cut pieces to fit. Simple and easy to use, and very good cleaning, the price is not expensive, recommended to buy.